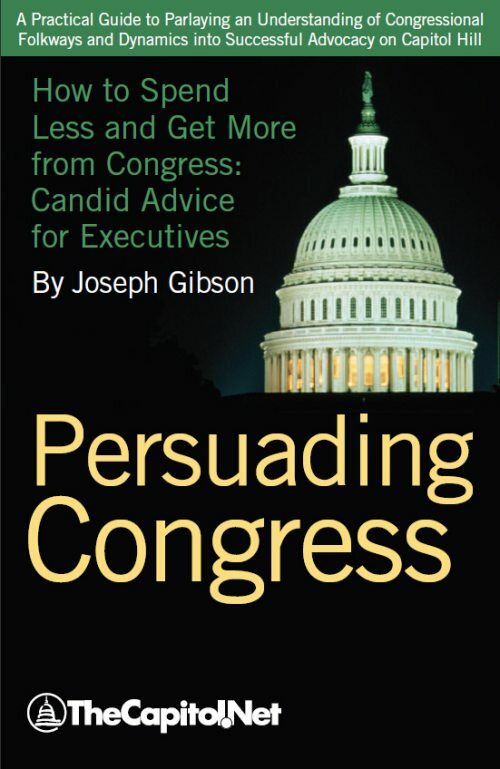 Persuading Congress is a practical book, packed with wisdom and experience. For less than the cost of a cab ride to the airport, you can learn how to stop wasting your time when you visit Washington. 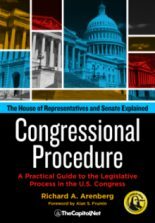 This book will help you understand Congress. 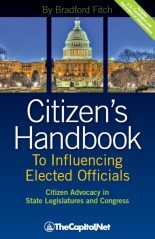 Written from the perspective of one who has helped put a lot of bills on the president’s desk and helped stop a lot more, this book explains in everyday terms why Congress behaves as it does. Then it shows you how you can best deploy whatever resources you have to move Congress in your direction. 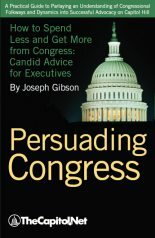 Persuading Congress is available in both hardbound and softcover editions. 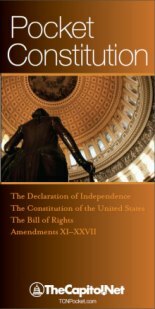 The Training Edition of Persuading Congress is included as part of the program materials in our public and custom Capitol Hill Workshop.